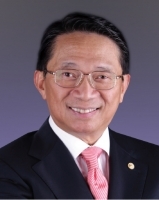 Mr Yeung, Chairman and CEO of Fujikon Industrial Holdings Limited, has been instrumental in the development of the electronics and acoustics industry. His accomplishments in the industry have won him a string of honours, including the Director of The Year Award from the Hong Kong Institute of Directors. Mr Yeung is dedicated to community services and charity work and has a deep concern for education. He has funded the construction of several primary schools in the Chinese mainland, and also donated to G. T. (Ellen Yeung) College in Hong Kong in 2000 and has served as its Vice Chairman of Board of Governors.